The “Schools: Partners for the Future” (PASCH) initiative creates a global network of more than 2,000 PASCH schools with particular ties to Germany. 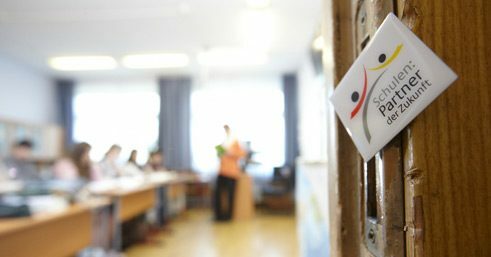 The Goethe-Institut supports around 600 PASCH schools in the national education systems of over 100 countries. The “Schools: Partners for the Future” (PASCH) initiative was launched in February 2008 by Germany’s Federal Foreign Office. PASCH is coordinated by the Federal Foreign Office and implemented in cooperation with the Central Agency for Schools Abroad (ZfA), the Goethe-Institut, the German Academic Exchange Service and the Educational Exchange Service of the Standing Conference of the Ministers of Education and Cultural Affairs of the Länder in the Federal Republic of Germany. The “Schools: Partners for the Future” (PASCH) initiative was launched in February 2008 by Germany’s Federal Foreign Office. PASCH strengthens and creates a global network of more than 2,000 PASCH schools with particular ties to Germany. The Goethe-Institut supports around 600 PASCH schools in the national education systems of over 100 countries. 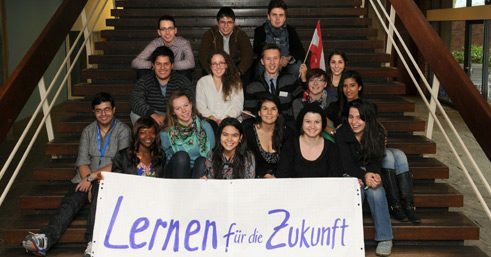 The initiative is coordinated by the Federal Foreign Office and implemented in cooperation with the Central Agency for Schools Abroad (ZfA), the Goethe-Institut, the German Academic Exchange Service and the Educational Exchange Service of the Standing Conference of the Ministers of Education and Cultural Affairs of the Länder in the Federal Republic of Germany. The network of German schools abroad and schools offering the German Language Certificate is being strengthened. Furthermore, cooperation with schools is being stepped up with a view to anchoring German as a foreign language more firmly within national education systems. In addition, scholarships for pursuing a course of study in Germany and opportunities for school exchanges and twinning programmes are made available. The initiative is designed to arouse and sustain young people’s interest in and enthusiasm for modern-day Germany, German society and the German language. A global network of partner schools of the Federal Republic of Germany is being created; the schools become part of an international community of learners through shared activities and exchange. PASCH offers attractive training courses that help give pupils and teachers qualifications that will serve them well in the longer term, thereby building upon the skills that the young people will need to study in Germany and in their later professional lives. It additionally aims to establish lively and long-lasting ties to Germany and to encourage schools, teachers and pupils to share their thoughts and ideas openly with one another and to work together. 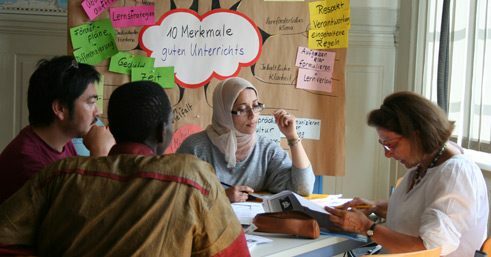 Furthermore, PASCH is linked to other foreign cultural relations and educational policy initiatives such as the “Kulturweit” voluntary service. 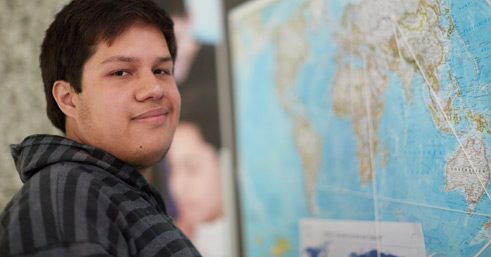 The Goethe-Institut helps the more than 600 schools it supports to include or expand German teaching on their curricula. It offers teachers further training in pedagogical methods and language courses, and equips schools with modern multimedia-friendly teaching, learning and cultural studies materials. 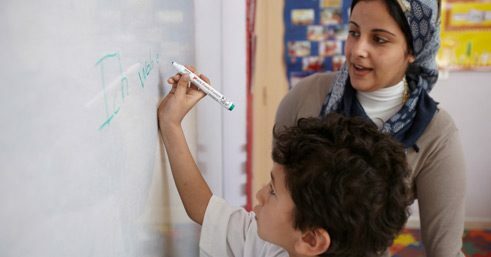 Within the framework of the initiative, the Goethe-Institut has additionally sent teaching experts out to assist the partner schools around the world. Youth programmes are run in Germany for pupils from participating schools, allowing them to improve their language proficiency, develop their intercultural skills and experience Germany and its culture at first hand. The general area features information about the participating institutions and their activities. These include projects within the framework of the PASCH initiative, blogs from staff working in different regions of the world, PASCH youth courses in Germany and a forum where schools can find international twinning partners. An interactive world map provides an overview of the network of partner schools, and the participating schools present brief portraits of themselves. In this area, teachers can find ideas about how to use PASCH-net in their German lessons, download teaching materials and obtain information about pedagogical methods. The PASCH learning platform allows teachers to set up their own virtual classrooms or to use existing courses. In the community, teachers can share material or find partners for their project ideas. Thanks to the community, the learning platform and blogs, teachers can realize international projects such as regional online school newspapers or podcasts. On its PASCH learning platform, PASCH-net offers tutored online further training courses for teachers. In the PASCH-net-Führerschein online course, teachers learn about the website’s advantages for German lessons, such as the communities, learning platform and PASCH-Global school newspaper. In the Moodle-Führerschein online course they learn how the PASCH learning platform, which is based on Moodle software, can be used in school lessons or during a teaching training course. Pupils learning German at PASCH schools can share ideas and opinions with other pupils in the community. They can also upload texts, photos and videos there, set up groups and join forum discussions. Competitions and projects encourage pupils to get involved. Texts with different levels of difficulty provide information about Germany, including options for studying there. Discussion topics, activities and language games for learners of German. Anyone who wants to play an active role in the communities or the learning platform on PASCH-net has to register and then log in using their e-mail address and password. The PASCH network encompasses more than 2,000 schools worldwide. 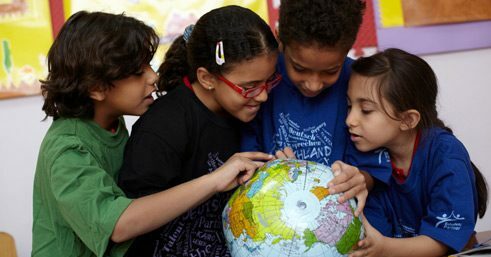 The Goethe-Institut supports over 550 schools in the national education systems of over 100 countries. Within the framework of the "Schools: Partners for the Future“ initiative, these schools have included or expanded German teaching on their curricula. For the most part, German is offered as a second foreign language at the schools. The PASCH network additionally includes about 140 German schools abroad supported by the Central Agency for Schools Abroad (ZfA), 27 schools with a focus on German, as well as around 1,100 national schools which offer the German Language Certificate of the Standing Conference of the Ministers of Education and Cultural Affairs of the Länder in the Federal Republic of Germany.